Retirement? When and what next? Our original plan/idea was to work until Keith was 70 and Frances would then be close to Pension entitlement; this would have got us to a point of having our mortgage paid off and maybe a chance to swap our house in Booval (Ipswich, Queensland) for something smaller/cheaper out of town, maybe in the Lockyer Valley to the West. After Keith’s cancer episode in 2008/09 and final surgery in 2010 it reached a point in late 2011 where Keith could no longer work full days having contracted Peripheral Neuropathy from the chemotherapy drugs. As we were both working as couriers it was quite easy to work short days but obviously the income was less. 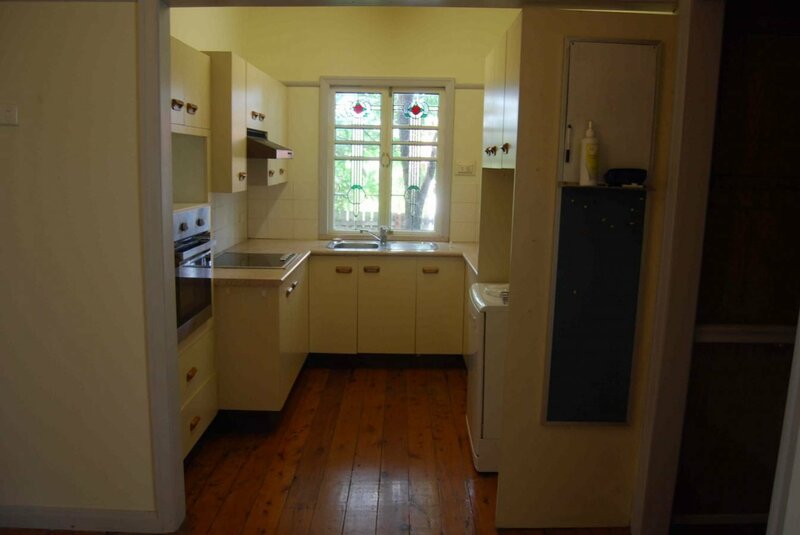 Real estate prices had also shifted and the Lockyer was no cheaper than Ipswich by this time. Having caravanned in the late 80s and early 90s and with a love of seeing the country, Keith having done much more traveling due to various jobs and businesses, we both wanted to see much more of both the coasts and the bush and to have the opportunity to take Frances to WA which she had never been to, and where Keith had lived for almost 10 years in the 70s. The idea came to fruition in 2012 and the planning started, although in a very vague sort of way. The main questions are really when, how and what with? Think about what to do with the house and belongings, what sort of van, what to use for a tow vehicle? It was obvious the only real solution was to sell up and use the house money as more of a cash earning investment, using our very limited super to buy the rig as only Keith could get the age pension (from March 2012 at age 65) and Frances was not eligible for pension until Feb 2019 (at age 65 1/2). Started buying Caravan mags and researching online as well as taking note of various possible “tugs” from new to old. An early thought was a fifth wheeler but the reality of wanting more flexibility of travel (free camping, bush roads etc.) soon ruled that out in favour of a “traditional” caravan. During this time we discovered Caravan and Motorhome on Tour magazine and their brand new companion publication “Free Camping” which proved to be a total mine of information between them and a subscription was organised. Much of the information from these two has been taken out and kept for future reference. This exposure to more of what is out there led to thoughts about new van vs. secondhand as well as a suitable newer vs. older “tug”. As 2012 progressed we decided that perhaps Easter 2013 was a good target for getting everything done and getting on the road; mainly because it meant not working through another winter! With that in mind it seemed like a good idea to resolve the issue of the tug first and having drawn some money to pay for a company legal matter there was some left to put into a suitable vehicle. The overall choices of both van and tug were based on how much we wanted or needed to leave in cash reserves for the future. It came down to being more sensible to limit our spending to a good secondhand unit for the tug so we had more choices for the van, after all the van is what you are going to live in every day for an unspecified number of years! Searching the classifieds and carsales on line I was at first looking for any 4WD with 5 seats (wagon or dual cab) as we needed the back seat for our 2 pooches, Lolli and Tess. Having looked in all different price levels from about $35k downwards I decided perhaps finding something sub $20k and spendinga little on necessary service issues or add-ons was the best course. 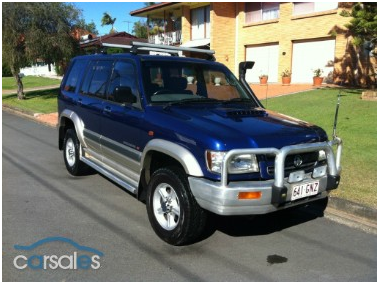 Searching carsales for anything $10k-$20k, auto trans, turbo diesel, towing capacity of 2.5t minimum and looking at prices v mileage it was obvious that anything in the more usual choices of cruisers and patrols was going to be very high k’s for under $20k; the Pajero (which I have had before) was a little less but still seemed out of proportion. Narrowing the search to anything under 200k threw up some unexpected choices, notably, the Mercedes ML, Land-rover Discovery and the Holden Jackaroo; interesting? Logically the Merc probably has the highest maintenance costs, the Disco some transmission issues which are very expensive to fix and the Jackaroo was something i had not considered before so had to do some research. See my full thoughts on this in the page on “Our Rig”. 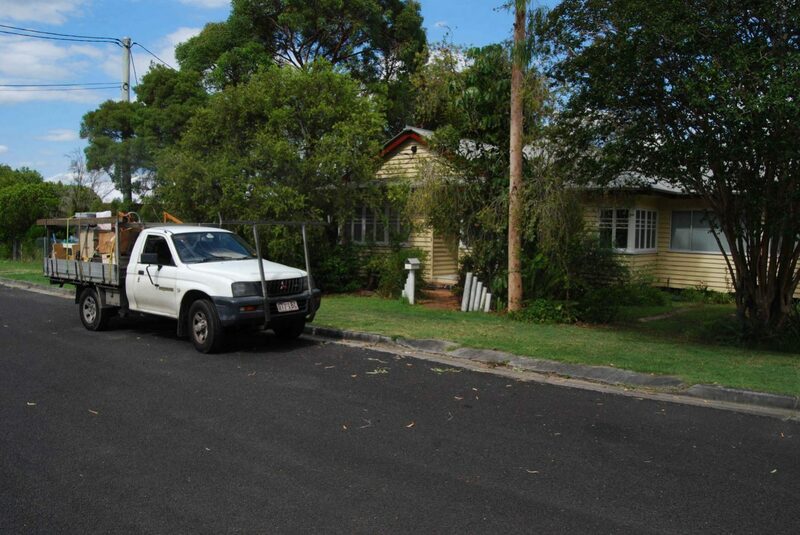 So in the end we bought a Jackaroo from a local Brisbane seller and picked it up on Christmas Eve 0f 2012. 2013 dawns and the first thoughts now we have the tug is to get the house ready for sale; being in the Ipswich area, where prices are relatively low, we didn’t have any concerns about waiting for a sale when we were ready as the market is usually pretty buoyant because of the price levels. However we completely underestimated what we were ultimately going to do to get the house ready! Having let an Estate agent look at the house to give us some thoughts on both price and readiness/condition we set about deciding exactly what we intended to do. From the start we knew we would have to have all the guttering replaced and paint most of the exterior but thought we might just “tidy up” the interior; the agent’s thoughts, after 2 visits, put an end to that and we realised that we needed to do a full makeover if the house was going to be totally presentable. January saw the beginning of the painting cycle by starting on the external walls (weatherboard) and looking at what we should do first on the inside; choosing a colour scheme so that we didn’t have to change the outside radically but keep the inside matching in some way was the first challenge. It was fortunate in a way that the house was 200m from a Bunnings store so paint and all necessary hardware was on hand 7 days a week. Keith working short days meant that something could be achieved in the afternoon of some days, As the year progressed the Roof was repainted (sprayed with compressor spray gun for best finish), interior progressively worked through so that by Spring we had only a few main areas to finish including a almost full reno of the bathroom (not at all in our original planning!). Exterior walls were finished, guttering replaced and the final touches completed in November; what happened to Easter?? The whole process went completely crazy in mid November when we thought we had everything under control. The aim was to get the house on the market before Christmas season to capture the buyers who want to buy and move before school starts a new year. In early November Keith’s work ute had a major fuel problem and was off the road for a week; this allowed for all the bits of finishing off to be tackled in earnest, and to tell the truth we were both more than a little sick of wielding paintbrushes at every spare moment, Frances had become quite the expert at “cutting in” and Keith was excersing his carpentry skills once more. During this week the Agent we had stayed in touch with rang and said “Are you nearly ready?” which we confirmed so we agreed to meet up on Wednesday November 13th and set the price and signed up for the house to be listed the following Wednesday. We had only minor bits and pieces to finish and rubbish to clear when my Ute was ready for use again. 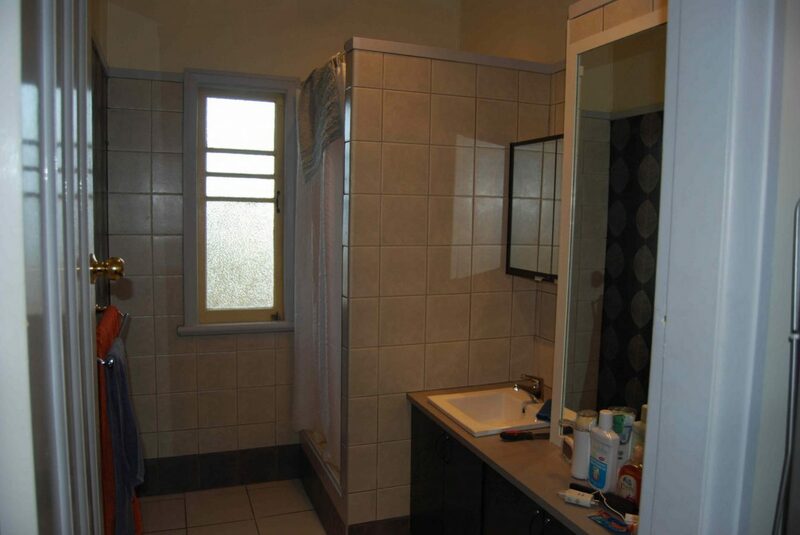 On the Saturday, Adam, the agent, rang and asked if a client could have look at the inside having done a drive by and being aware that we were not quite finished. The short story is that by 5.30pm Sunday (November 17th) we had a signed contract !! The bad news was that since we last sold a house in 2007 the settlement period had shrunk from 60 days to 30 days although we did manage to get 35 days! The experience of having to, in 35 days, decide on and sort, sell, throw, or keep every single item we owned after 30 years together was something I would not wish on anyone or want to repeat (not that that’s likely!). With much help from our girls and some of their partners we achieved it (with some unwanted loss of a few boxes) and put the last items onto the Ute and handed over the keys with less than an hour to go on settlement day of December 16th 2013! Well I would say there is not much more to add except that I got swept up in the possibilities of what was possible if we put our minds to it. Without Keith’s drive I shouldn’t have been able to put this together. I really enjoyed house painting, quite a satisfying job seeing great improvements come together. Should kick ourselves for not getting stuck into it for our own sakes when we first moved in, kick kick! It was a really hard job moving out and I would like to add to Keith’s last paragraph many thank yous to family and even perfect strangers who helped us throughout the year. Some of the hard jobs like roof cleaning, packing and lifting boxes and furniture, trips to the tip and op-shops, with the garage sales. Lifting very heavy items onto the ute, cleaning up, selling things on-line for us. And to Liv who took us in for 2 months as with nowhere else to live we weren’t ready to head off immediately. It has been quite cathartic leaving Booval, although I wouldn’t say it was hard to say goodbye to the house, and lots of things. (Except for the couple of stray boxes!) But family is something else, we plan to be back and forth to visit. As for this project Keith is a great researcher so I left all that to him, what car, caravan? I’m afraid i had no idea, this set up seems to be far more complex that I ever imagined. I want to say organic, as I feel it is a far more complex working of parts living in a caravan and car than ever residing in a house was. I am lucky I can leave Keith to cope with the workings of battery and solar etc etc, (for now) and I am trying hard to come to grips with all the new workings. I guess at some point I shall have to have a go at getting behind the wheel and actually tow the van!! The cassette toilet has lived up to expectations how could it not Ickk! I would like to point out I have been to W.A., to Fremantle for a day. And I would like to get my teeth into the interior if possible, if the van will take it!